As the year 2017 draws to a close, Players must be looking forward to end the year with a bang. In line with Player expectations, we have arranged a host of big bang offers at KhelPlay Rummy which includes Bonus Offers, FREE Cash Offers and a Special Loyalty Scheme this December. 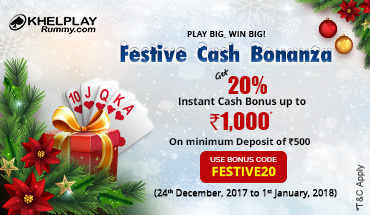 First in line is the <Month-start Bonus Offer> on 1st December where Players get Flat 20% Bonus up to Rs.2000 on every Repeat Deposit they make with Bonus Code: DEC20.  The Bonus can be used for playing Rummy games at KhelPlay Rummy. Make optimum use of this special Cash incentive at the beginning of the month and indulge in your passion for Rummy in the best way possible. As you play on at KhelPlay Rummy, we offer you an additional Refer a friend incentive. The Refer & Earn Program gives you extra 200% Bonus on Friend Referral after every Friend’s first Deposit. This Bonus should keep you in good stead for a good part of the December, Also an Additional Bonus boost in the form of 100% Repeat deposit Bonus awaits you in the middle of the month. The Month-Start Bonus will appeal to all new Players who want to make it big playing Rummy games. For the upcoming year, you may have taken a pledge to win huge amounts for yourself in Cash Games and Tournaments. The Month-Start Bonus that we are giving away might just be the right Offer for you before you look to dive deep in the world of online Rummy. The Rummy game adventure that you have planned to undertake at KhelPlay Rummy would be full of thrills and spills. All along, you’ll find yourself battling against Rummy game pros testing your Rummy skills in every unimaginable way. But perseverance pays. And pays big-time as well! Having decided to immerse yourself in rummy games, don’t look back. Plan well. The Month- Start Bonus will provide you with the much-needed impetus as you trudge along in your Rummy journey. And you can choose to make use of other exciting Bonus and Cash Offers that we run from time to time. 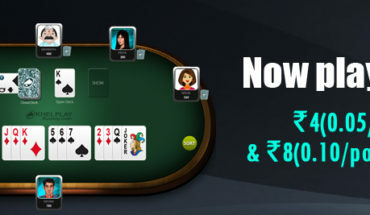 Players can also play a wide variety of Daily and Weekly Tournaments at KhelPlay Rummy which include Daily Freeroll Tournament, Fortune Tournament and Entry Tournament, among others. 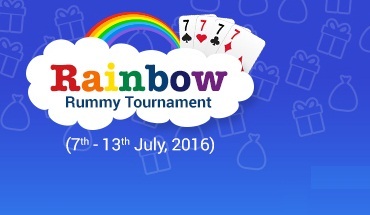 So Hurry, Register Now, if you haven’t yet, and Play Big & Win Big at KhelPlay Rummy!